Hatsune Miku is a famous Japanese Vocaloid who has held many concerts all over the world! 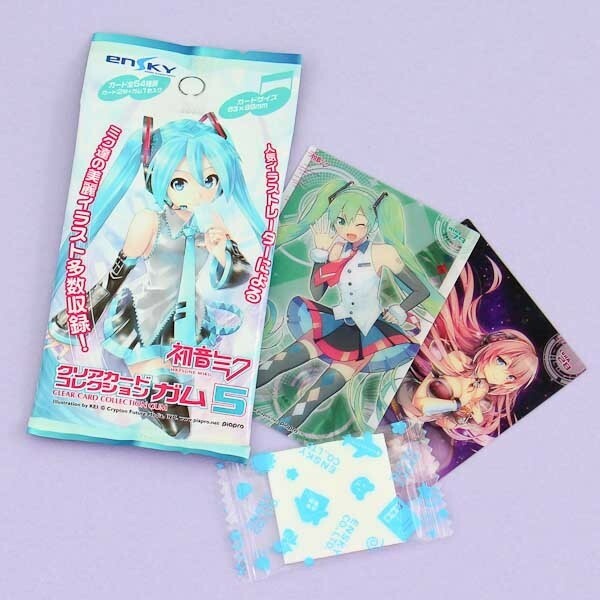 Now you have a chance to collect Hatsune Miku and her friends with this fun trading card collection! One package includes 1 bubble gum and 2 random trading cards. The chewing gum in the package has a sweet taste. Collect them all and raise to the stars with Hatsune Miku and her friends!